How to Rotate Screen in Windows 7? 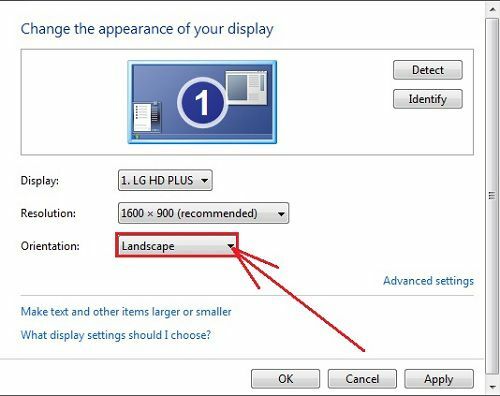 The screen on your computer is by default in Landscape mode. Sometimes, you want to view screen on your computer in Portrait mode to read e-books or documents or sometimes just for fun you can rotate your screen either in clockwise or anticlockwise direction. In the article below I provide three methods to rotate screen of your computer. So let us start with How to Rotate Screen in Windows 7? 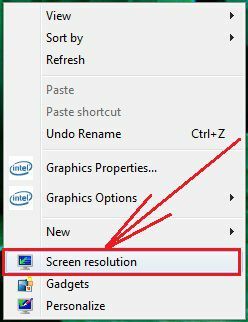 Step 1: Right click on your desktop you will find many options among them click on Screen Resolution. It will take you to the Control Panel’s Screen Resolution window. 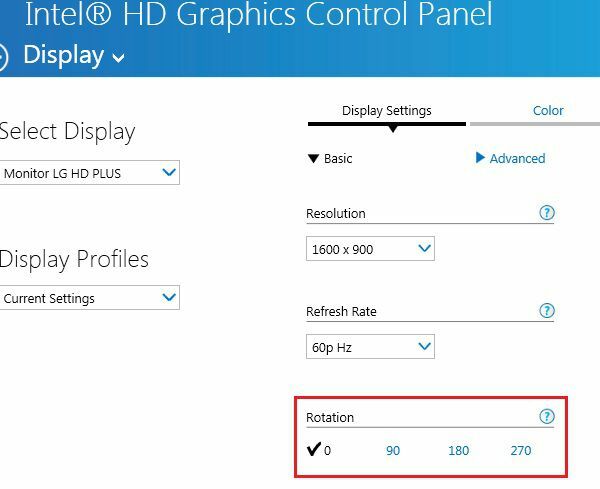 Step 2: Now, you are on the Control Panel’s Screen Resolution window where you can Change the appearance of your display. Here, you will observe the Orientation drop-down box. Click on the down arrow of Orientation box. Step 3: Currently your screen is by default in Landscape mode. Choose the Portrait mode to rotate your screen by 90 degrees and then click OK. The other modes are Landscape (flipped) mode; it will rotate your screen upside down, and the last mode is Portrait (flipped) it rotates your screen just opposite to Portrait mode. 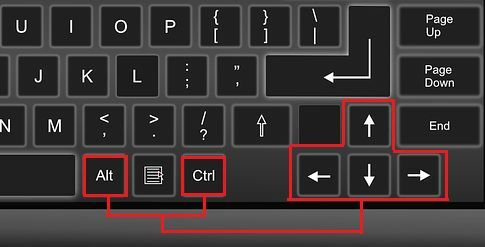 Alt +Ctrl+ down arrow: To rotate your screen upside down. Alt +Ctrl+ up arrow: To rotate your screen in the standard Landscape mode. Alt +Ctrl+ right arrow: To rotate your screen by 90 degrees right. Alt +Ctrl+left: To rotate your screen by 90 degrees left. 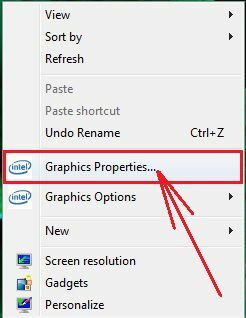 Step 1: Right click on the desktop among the list of options click on Graphic Properties to open Intel’s Graphic Control Pannel. 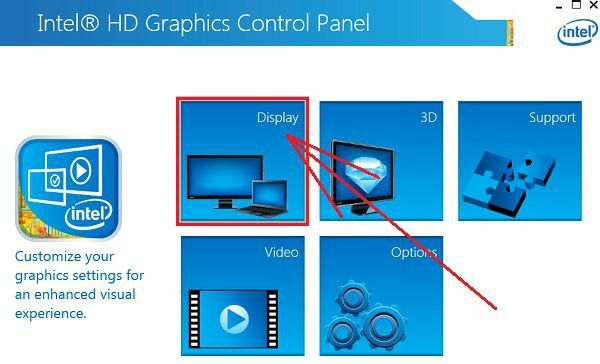 Step 2: Intel’s Graphic control panel window will get opened. Click on the Display tab to change the display settings. Step 3: Under Display tab, you have Display Setting tab that has Rotation optionsYou can rotate your screen by 90 degrees, 180 degrees, or by 270 degrees. Hope the content is useful. Keep reading. How to change Taskbar color in Windows 7? 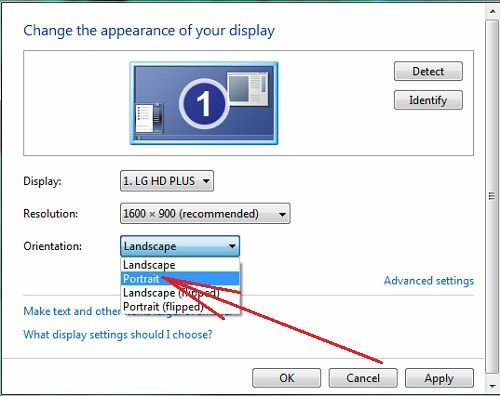 How to set Screen saver in Windows 7?